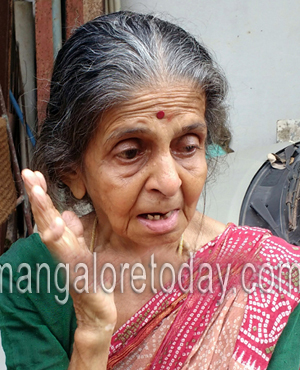 Mangaluru, Jan 08, 2017 : In a tragic incident RTI activist slain Vinayak Baliga who was brutally murdered six months ago ,his mother Jayanti Baliga (81) passes away on January 08, Sunday. It is said that Jayanti Baliga was hospitalized due to severe brain hemorrhage and was in coma from some days. Jayanti Baliga is survived by husband Ramachandra Baliga and four daughters Shwetha, Asha, Anu and Harsha. Jayanti Baliga was totally shattered after the murder of their only son Vinayak Baliga in March 21, 2016. When will the bereaved family get justice? How sad ? But the family of accused will surely get for what they have done . May her eternal soul rest in peace.